Search the homes for sale in Horizons at Barnegat. 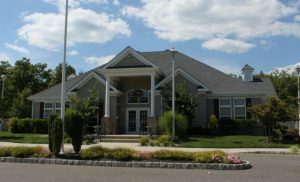 Horizons is an Over 55, Active Adult community in historic Barnegat Township, NJ in Ocean County. Barnegat has a rich heritage. because it was one of the areas leading seaports. Once upon a time, shipbuilding, fishing and glassmaking were the local industries. Today Barnegat has a Historic District with shops, antiquing restaurants and museums. It’s located on the Barnegat Bay, hence there are over 6 miles of waterfront, offering swimming, fishing, crabbing and boating. In addition, your pets are welcome at Horizons at Barnegat. Horizons at Barnegat offers many amenities such as a comfortable clubhouse that provides a number of recreation options. Available to the residents are a multi-purpose room, a library and a card room. and a fitness room. In addition, you’ll find clubs, trips, socials and monthly newsletter to keep you up to date. And when you go outside you’ll find a large swimming pool. Additionally, there’s a fitness center.so that you can get your exercise. You can be active or in-active as you want, your choice. The community is conveniently located because it’s only minutes to Long Beach Island, and Atlantic City is a short drive. You can also enjoy local activities such as fishing, boating, golf, shopping, dining and much much more. When you’re ready to either buy or sell a home in Horizons at Barnegat, contact us. Call Bunny and Art Reiman – the Active Adult Community Specialists.